Our first printed issue of The American Indian Reporter was released on May 1, 2018. Please contact Ernie Salgado for subscriptions and printed copies. The American Indian Reporter full-color newspaper is designed to serve Southern California American Indian tribal members. 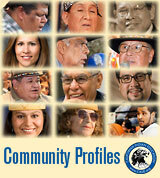 It is the only tribal newspaper dedicated to serving the Southern California Indian tribes. The American Indian Reporter provides the Southern California tribes and American Indian organizations with their own monthly publication to share their news, resources and views. Participating tribes have options to distribute printed papers directly by U.S. Mail to their tribal members and offices. 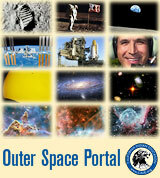 We maintain a free DOWNLOAD PDF archive of current and past issues on this website. If you are a Native American journalist or a tribal member with a news tip, story idea, community OP-ED, please CONTACT ERNIE SALGADO JR (Soboba tribal elder). 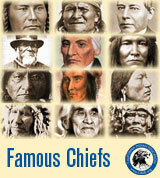 The Board of Directors consist of one representitive from each of the member tribes. The six-member Executive Council is composed of two representatives from the three geographical areas identified as Southern, Central, Northern. 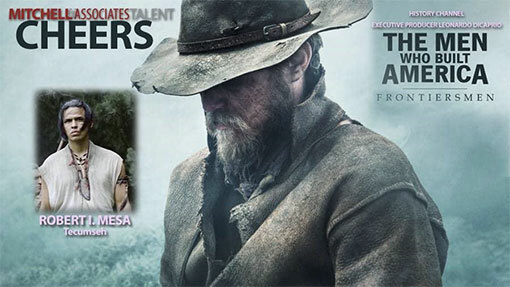 ROBERT I. MESA (Navajo-Soboba) recently starred in the lead role as TECUMSEH in the recent Leonardo DiCaprio's History Channel production of “The Men who built America — Frontiersmen." The four-part mini series aired March 7, 14, 21 and 28, 2018 on the History Channel. 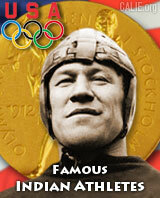 Robert is the grandson of Steve “Mesa” Sun or “Cowboy” as many of us old timers from the Soboba Rez know him. 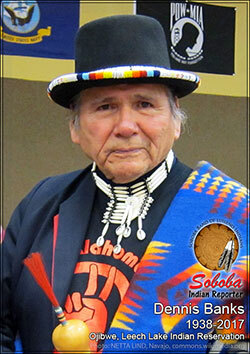 Grandpa “Cowboy” is an enrolled member of the Soboba Band of Luiseño Indians. His grandmother, Claudia Mesa and her brother, Ralph Arietta Sr., and sister, Elisabeth Mojado, were also Soboba trbal members. 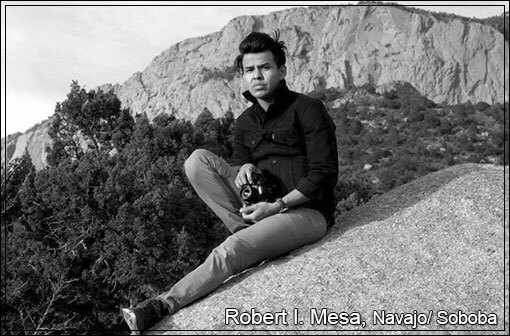 Although Robert is an enrolled member of the Navajo Nation, his grandmother's tribe, he has always claimed his Soboba heritage. Robert I. Mesa acting credits include: The Men Who Built America Frontiersmen (2018); From Dusk Till Dawn; The Series (2014); and Jacob (2011). Robert’s acting career was born out of his Tribal Dancing and his primary profession as a photographer which is still his first love. CONTACT ERNIE SALGADO by email, telephone, mailing address. The "Soboba Indian Reporter" (SIR) celebrated its two-year anniversary on Oct 1, 2017. The first Soboba Indian Reporter tribal newspaper was self-published on October 1, 2015 by Ernie C. Salgado, Jr, a Soboba tribal elder. SIR is currently expanding our world-wide readership to include advertising on the CALIE.ORG website to help cover our out-of-pocket printing and distribution expenses. The original intent of the Soboba Indian Reporter was to provide tribal information to the members of the Soboba Band of Luiseño Indians. However, it has expanded to provide relevant information to a larger audience of both tribal and non-tribal communities around the world. Originally "The Indian Reporter" was established in 1962 by “Wild Bill” Jennings as a local grass roots tribal newsletter. Ernie Salgado (Luiseño) continued the newsletter electronically on the Internet in 2009. As Editor in Chief, Ernie Salgado Jr. is continuing Wild Bill's grass roots journalism work in 2017 by self publishing under the Soboba Indian Reporter masthead. 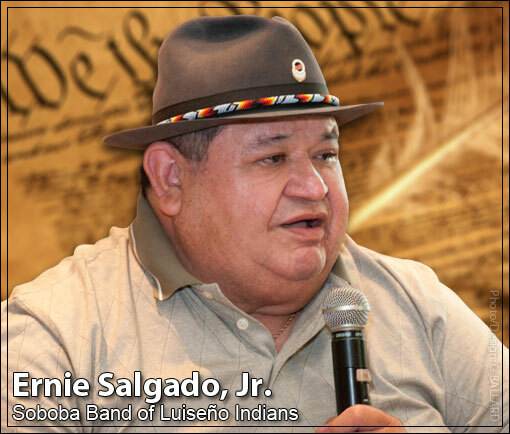 Ernie C. Salgado, Jr., publisher/editor, tribal journalist, enrolled member of the Soboba Band of Luiseño Indians located near San Jacinto and Hemet in Southern California, Riverside County. I also ask that you honor your word by offering an apology to the memory of “Pocahontas” and to the American Indian people for bestowing her name on such an unworthy person ... READ FULL LETTER. Anyone that ever had the honor of meeting him knew him as an honest, humble and caring person. When he spoke to anyone it was with respect regardless of status, they be a United States Senator or a Reservation Indian, it didn’t matter. Dennis Banks put his life on the line to fight racial discrimination, the federal Government and Tribal corruption and the injustice against our people... READ DENNIS BANKS FULL MEMORIAL & INDIGENOUS RESEARCH PAGE. 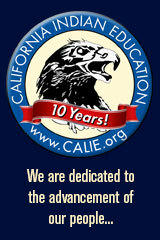 CALIE HONORS OUR INDIAN WARRIORS — Includes a modern Web portal for Native American military veterans and their families, including medical and disability benefits, family services, Native American Medal of Honor recipients, historical articles — INDIGENOUS WARRIORS STUDY GUIDE. On June 9, 2017 Soboba Band of Luiseño Indians tribal attorney George Forman filed a lawsuit against the Riverside County Sheriff’s in the United States District Count, Central District of California. 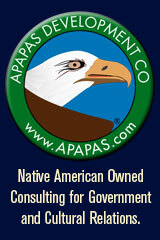 The main issues of the lawsuit are tribal rights, authority and jurisdiction. The legal action taken by the Soboba Tribal Council stems from the alleged illegal actions taken by the Riverside sheriffs during their investigation of a missing person (Jerome Salgado Jr.) from May 26-31, 2016. During the period of May 26-31, 2016, agents of the Riverside County Sheriff's Office invaded the Soboba Indian Reservation ("Soboba Reservation" or "Reservation") of the Soboba Band of Luiseño Indians ("Soboba Band" or "Band") to execute a search warrant that was issued based on false statements of an RSO deputy. told myself not to write this article but sometimes I just can’t help myself. I guess I’m like the bug in the movie “Bugs Life” when he was told don’t look at the lights and as he looked at the light he said “I can’t help it.” So since I can’t help myself I am going to expose this can of worms. What is pathetic is that non-American citizens seem to get more protections from the Constitution of the United State of America than the American Indian tribal people. In fact just the other day the Federal Court judge in Hawaii ruled that the Trump travel ban was not legal because it violated the Civil Rights of the non-citizens. And if that’s not bad enough the Supreme Court ruled that the U.S. forces in combat fighting the Islamic extremist must read them their Miranda Rights. If you’re one of the Progressive liberal “Cool-Aid Drinkers” that still don’t know why Donald Trump was elected President of the United States of America, let me explain why I and many others like me voted for him. With all the demonization and racist rhetoric set aside let me assure you that I’m not a white supremacist or a neo-Nazi. By Ernie C. Salgado Jr.
SOBOBA INDIAN RESERVATION -- Long before Standing Rock the American Indian tribes including Soboba have been fighting the Bureau of Indian Affairs (BIA), powerful Government agencies, Cities, and States to protect the tribal water rights. Many tribe even had to file law suits against the Bureau of Indian Affairs (BIA) for their failure to protect our water rights which was their responsibility. Many of the BIA agencies went so far as to side with the people that were infringing on the tribal water rights. Soboba for example, in 1990 was awarded damages by the federal courts against the BIA as part one for failure to protect the Soboba tribes water rights. “Negligence.” is what the court labeled It. But it should have been criminal as the BIA administration forced an entire generation to live without an adequate domestic water supply while trying to force the tribe give up their water rights the local water district. The people of Soboba were forced to haul water from the nearby City of San Jacinto when the water usage on the reservation exceeded underground water level which was set at a depth of 100 feet. Request by the tribal leader to lower the domestic water wells pump to allow for the production of more water was continually denied by the BIA. And although the tribe had funds allocated and available to increase the ground water supply for the reservations residence it refused to allow it -- for over 30-years. In 1975 U.S. President, Richard M. Nixon signed Public Law 93-638, the American Indian Self-Determination and Education Act into law. The legislation provided for input into the development of the regulations for the implementation of the Act by the tribes ... READ MORE. Soboba Tribal member Joe Burton was voted 2016 MVP in his rookie year with the French ALM Évreux Basketball league team. Joseph began his professional basketball career in 2013 with Aalborg Vi-kings In the Danish Basketligaen, where he averaged 22 points, 12.5 rebounds and 4 assists. For the 2014–15 season, signed with Landstede Basketball. At the end of the regular season, he won the DBL Statistical Player of the Year Award and was named to the All-DBL Team and DBL All-Defense Team. During the 2015–16 season, Joseph played with the ALM Évreux Basket earning the MVP award.Joseph is the son of Dondi Silvas and the grandson of Charlie “B-Bop” and Yvonne Silvas. 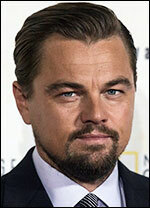 He was born on November 2, 1990 and live his entire life on the Soboba Indian Reservation.... READ MORE. 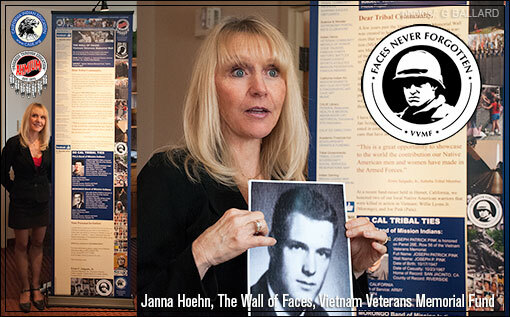 BARONA INDIAN RESERVATION, JANUARY 23, 2013 — Janna Hoehn (Vietnam Veterans Memorial Fund VVMF), representing Jan Scruggs, presented the "Faces Never Forgotten" project to American Indian veterans to develop Tribal involvement in the national project... READ MORE. 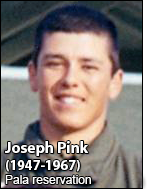 JOSEPH PATRICK PINK is honored on Panel 28E, Row 56 of the Vietnam Veterans Memorial. 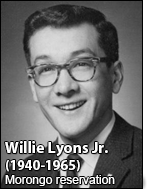 WILLIAM JOHN LYONS is honored on Panel 3E, Row 19 of the Vietnam Veterans Memorial. 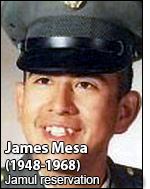 JAMES GREGORY MESA is honored on Panel 42W, Row 48 of the Vietnam Veterans Memorial. U.S. and Tribal Leaders to Celebrate Soboba of Luiseño Indians Water Rights Settlement Act Today! SAN JACINTO, Calif. — On Wednesday, Jan. 11, Assistant Secretary of the Interior for Indian Affairs Larry Echo Hawk, Assistant Secretary for Water and Science Anne Castle, Counselor to the Deputy Secretary Letty Belin and other U.S. officials will join tribal leaders including Scott Cozart, Chairman of the Soboba Band of Luiseño Indians, for a ceremony in San Jacinto, Calif., to celebrate conclusion of an historic U.S.-tribal water rights settlement. Federal funding recently released under the Soboba Band of Luiseño Indians Settlement Act of 2008 marked the final step in the historic water rights settlement and fulfilled promises made to the Soboba Band and southern California communities when the Act was approved by Congress in 2008...SOURCE | PDF. 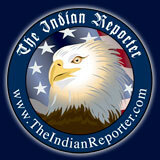 Note: "The Indian Reporter" newsletter and Web site is not affiliated with www.indianreporter.com www.indianreporter.org www.indianreporter.net www.theindianreporter.org www.theindianreporter.net — we are a Native American Indian news organization based on the Soboba Indian Reservation, Southern CALIF, Southwestern United States of America USA.